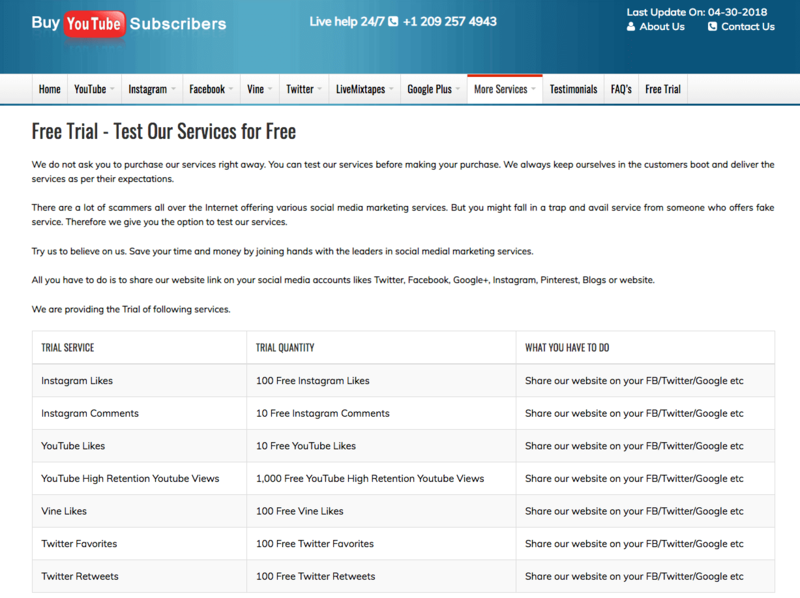 BuyYouTubeSubscribers is an Indian social media promotions company that started in 2011. 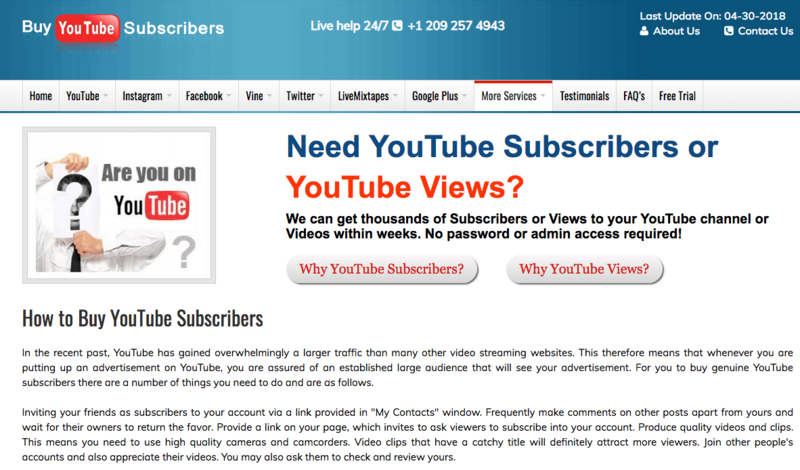 The site claims to deliver thousands of views and subscribers to your channel in just a few weeks. While their main focus is on YouTube, they also have services for other platforms like Instagram, Facebook, and Twitter. The site has a simple design, making it easy to navigate. To order your views, give your YouTube video URL and pay using PayPal, Bitcoin, or the other recommended options. Their targeted views service lets you choose from dozens of countries. You can also request custom packages through their customer support staff. 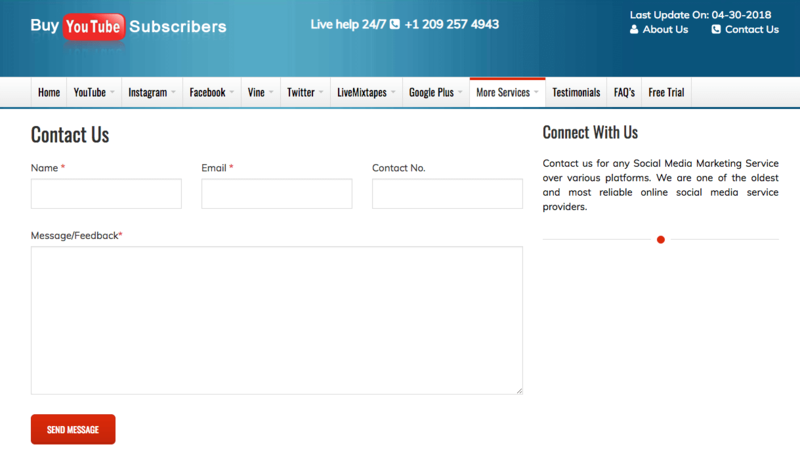 To reach them, use the live chat panel or call them at +1 209 257 4943. The site offers a 45-day refund for undelivered orders, and their replacement guarantee is available for six months. We like the site’s overall versatility. They offer sizable packages, and you can even request for custom orders to suit your needs. The large variety of services let you support an entire YouTube campaign, and their customer support staff were responsive to our inquiries. The guarantees are standard but still useful. 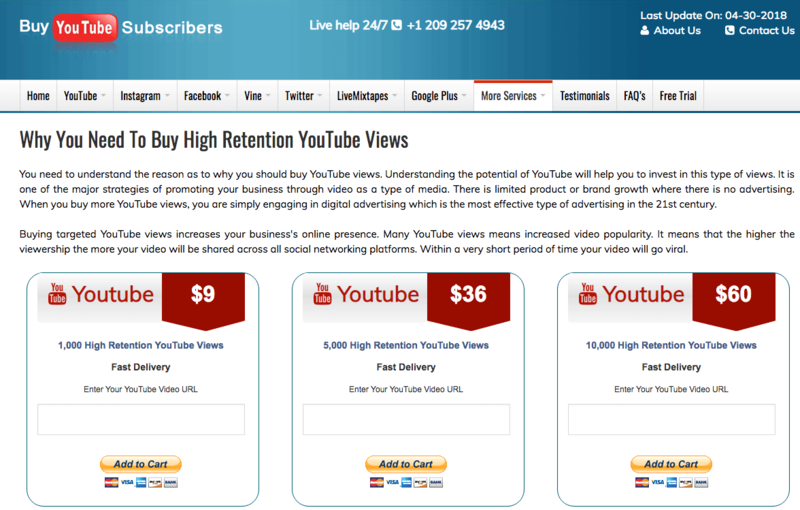 We fully recommend BuyYouTubeSubscribers if you want a one-stop shop to boost your YouTube channel’s popularity.